Motorola has updated its flagship series Moto X in India by launching the Moto X Play. The Moto X Play was announced last month at an event in the US while in India, Motorola launched the Moto G 2015 which according to Amit Boni, General Manager of Motorola India, “is the fastest selling phone on Flipkart, and is selling 40 percent more than previous models.” The Moto X Play is priced at Rs.18,499 for the 16GB variant and Rs.19,999 for the 32GB variant. Like with all the Motorola smartphones, Moto X Play will exclusively be sold via Flipkart from midnight. 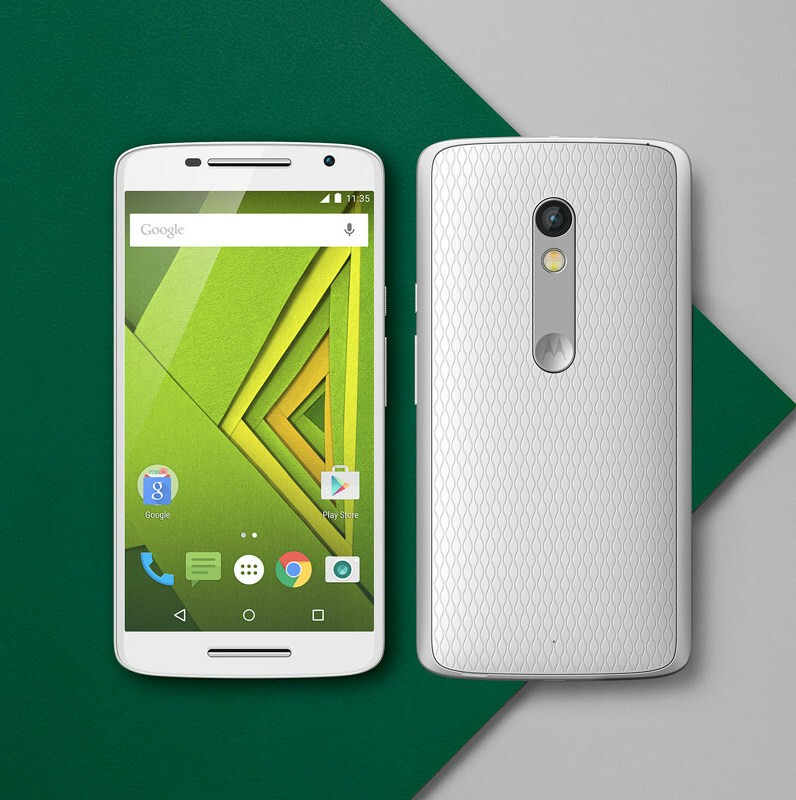 On the specifications front, Moto X Play features a 5.5 inches full-HD Gorilla Glass 3 protected display. It sports a 21-megapixel f/2.0 rear and 5-megapixel front facing snappers. The rear camera module is supported by dual-CCT flash. The Moto X Play is powered by Qualcomm Snapdragon 615 quad-core processor clocked at 1.7 GHz and paired with Adreno 405 GPU for graphics. This is backed up by 2GB of RAM. The device will be available in two memory variants of 16GB and 32GB. Additionally, there is a microSD card slot as an option to expand the memory up to 128GB. Moto X Play runs on Android Lollipop 5.1 out-of-the-box. The most talked about feature of the Moto X Play is its massive 3630mAH battery which the company claims will be good enough to last for up to 48 hours of mixed usage. The battery also has turbo charging capabilities namely, Turbo Power through which the device can be charged from 0 to 50 percent in just a matter of 15 minutes. Though, the Turbo Charger isn’t bundled in the box and is an additional accessory which costs another 1,000 bucks. The Moto X Play is IP52 certified which makes it water repellent thanks to the nano coating. The device supports nano-SIM which is 4G LTE enabled. Also, Wi-Fi 802.11 and Bluetooth v4.0 are present. Flipkart also has some launch day offers in line for those customers who buy the Moto X Play between September 15 and Septemeber 20. 100 percent cashback will be offered to 100 lucky customers who use Flipkart Ping while others would be entitled to e-vouchers worth Rs.1,000. Along with this, customers will also get free BookMyShow movie vouchers worth Rs.500. Also, MakeMyTrip is offering travel vouchers up to Rs. 5,000, up to Rs. 1,500 off on domestic hotel bookings via mobile app, Rs. 1,000 cashback on domestic flight bookings via mobile app, and a holiday package to Bangkok or Goa for two lucky customers.